It will help you enjoy the flavor chilly like never before. 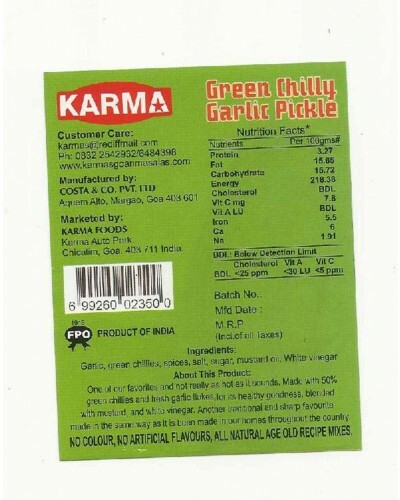 This pickle is made with absolute care and the spicy flavor. You can accompany your everyday meal with a bite of chilly. Shelf life of product is 12 Months. 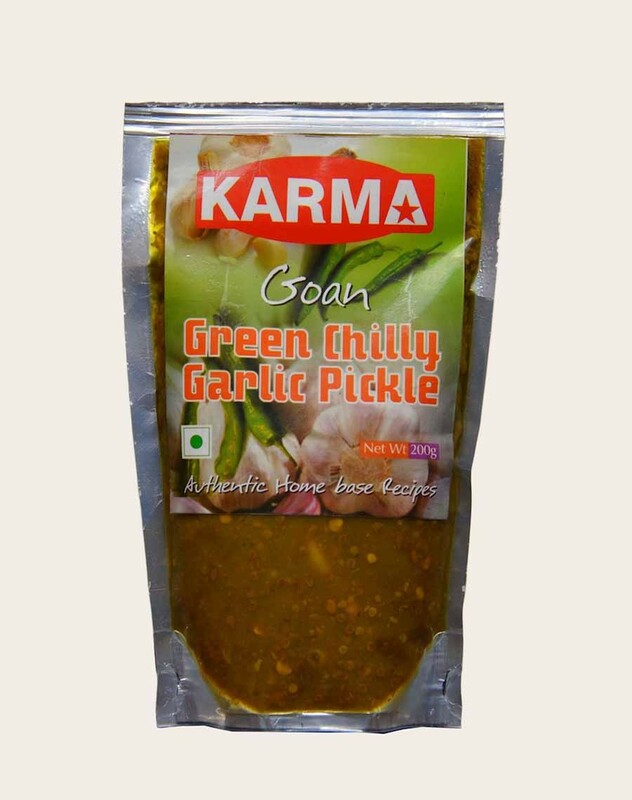 With the aim of taking her love for Goan Food one step ahead and making Traditional Goan food cherished by all, Mrs. Maria Vaz an enterprising goan lady, established her Food processing unit in Goa called 'KARMA FOODS' in 1987. Since then she has created 28 different products classified into 4 categories of Cooking pastes, Pure Spice Powders, Seafood Pickles and Goan Vegetable Pickles to spread the Authentic goan recipes to every home and pallet.With the aim of taking her love for Goan Food one step ahead and making Traditional Goan food cherished by all, Mrs. Maria Vaz an enterprising goan lady, established her Food processing unit in Goa called 'KARMA FOODS' in 1987. Since then she has created 28 different products classified into 4 categories of Cooking pastes, Pure Spice Powders, Seafood Pickles and Goan Vegetable Pickles to spread the Authentic goan recipes to every home and pallet.